The DAA Bullet Puller is a must-have for serious reloaders. This tool takes all the hassle out of separating your used cases from the bullet and powder. The tool itself is formed from high-quality plastic with an aluminum rod to ensure many years of durable performance. The DAA Bullet Puller can be used for ammunition of all sizes ranging from .17 Remington to .50/70 Government cases. This tool comes with an extra set of three collets, should the originals happen to break. 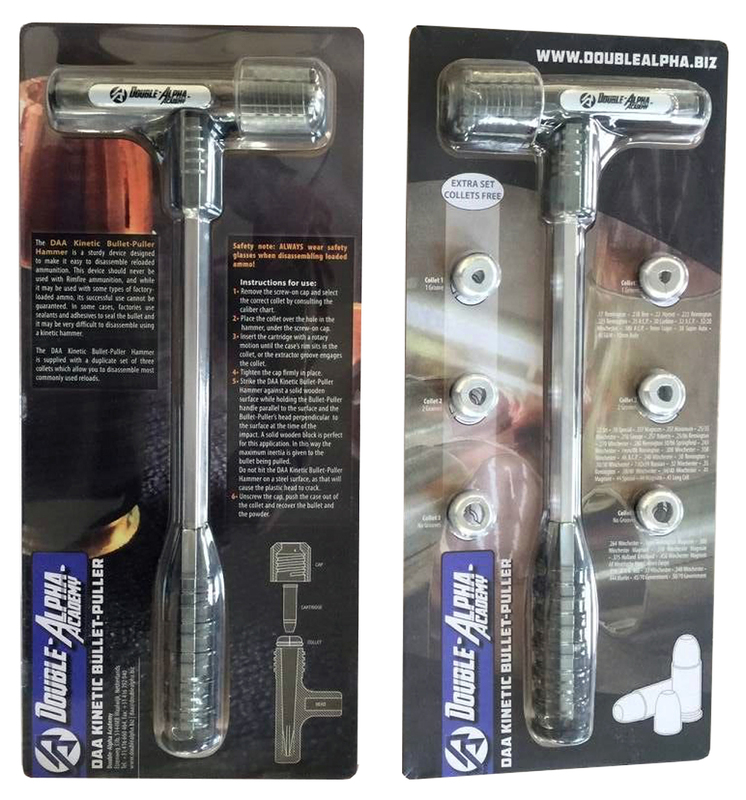 The tool itself is virtually indestructible and makes quick work of disassembling your ammunition for reloading.